Hi will be putting up a detailed thread in the coming weeks. No its not credit or anything like it. Its simply paying off invoice in 2 or 3 payments over agreed period depending on amount involved. Say something like wheels above. £699.00. Agreed period 4 weeks. Pay a deposit of £299. 2 weeks later £200. 2 weeks after that £200. All it is, is to ease payment and not have in one lot. Now in the coming months our website will launch. And this system will be available for anything the site. Last edited by RSR Automotive; 21 March 2015 at 11:26 AM. Hi. Price is current. So no plans changing at moment. Stocks change all the time. Worst case out of stock items a week or two to come in. So no big deal or worry really. Here is an example of 18x8 gunmetal on a blob wrx. Last edited by RSR Automotive; 22 March 2015 at 07:35 PM. Last edited by RSR Automotive; 23 March 2015 at 01:29 AM. 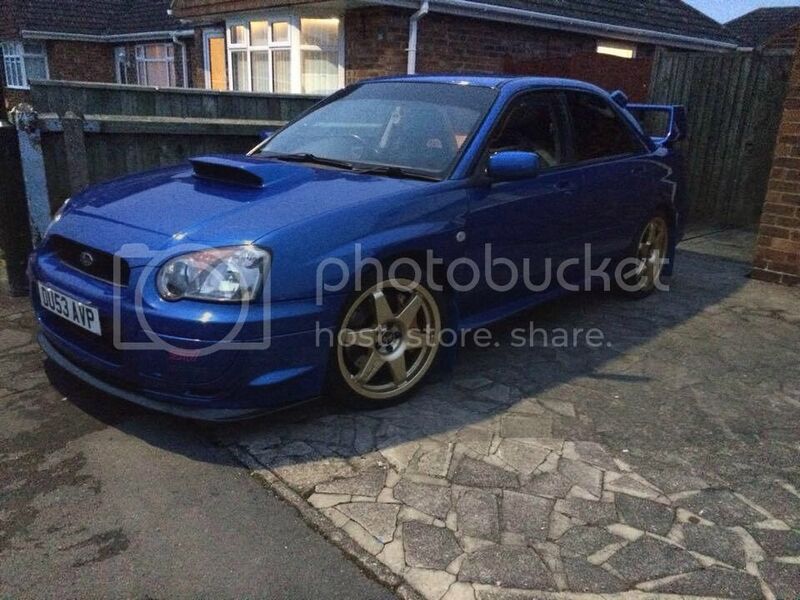 Do you have any pics of these wheels in gold or gunmetal on a SG9 Forester STi? I dont. I did find a silver sg9 sti with silver revs. Doesnt quite look as it would with gold though. Have you got any pictures of these on a hatch sti? Sorry dont have any on file or that i could find. Okay buddy. And my hatch is red.. Havent seen them on a hatch either nice to have something different! The Gunmetal be nice on a red car imo. What colour had you in mind? Yeah i have black oem at the moment. Had the black 9.5 rota grids but want something abit subtle and smart. A nice bronze/gold colour possibly cant find any pictures on a hatch at the mo! Interesting when revolution stop making 18x7.5 for a classic about a month ago as they made a batch of 60 sets for a classic only and I was lucky I got a set as I put an order through before they were made and they were all sold so is making them revolution ? I dont understand your post. We just sent a set of 18x7.5 gold for a 98 classic to to a customer last week. What I mean who is supplying you 18x7.5 when Revolution have stopped doing that size unless they are making more as I might be interested in one alloy that size in gold as a spare to go with mine that I all ready bought from revolution . I actually had to read that twice. Are you really asking a trader who their supplier is???? Wow. Surely your post should be. Hi. Can you tell me can you supply me a single 18x7x5 5x100 et48 Revolution Millenium Alloy wheel in gold. Thank you. 18s in Legacy BL5 fitment with Goodyear Tyres. In stock and could I collect? All orders are delivery. We are based in Dublin Ireland. Not sure really. They look good any colour. Can check tomorrow. Gold should be in Stock yes. Will check gold and gunmetal for you. 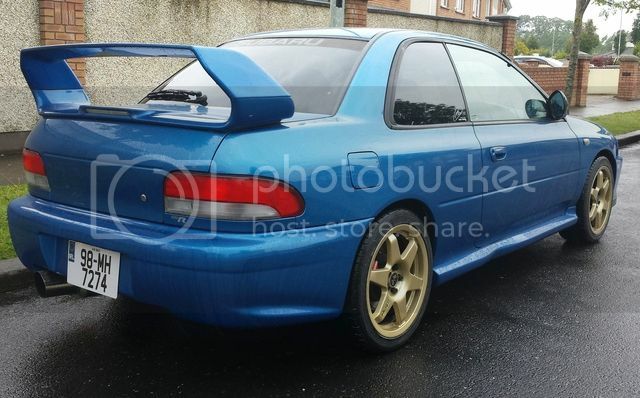 On a BL5 you would use 18x8 with 225/40/18 tyres. Tyres be ordered in once order received. Last edited by RSR Automotive; 06 April 2015 at 03:22 PM. Not sure if it's been asked but how much is a set without tyres? So £739.00 delivered anywhere UK or Ireland. Anywhere else in Europe ask courier quotes. Ha yep all prices at start thread. Incl Tyres options. Any tyre can be requested though if not on list.